Changes to the way offenders are supervised in England and Wales may have contributed to two murders, says the probation officers' union. The union said that in one case a man who killed his partner then himself had been under the supervision of an "overworked" trainee officer. It urged the government to halt the changes, which involve contracting out the monitoring of some offenders. The Ministry of Justice said it would "robustly" contest the allegations. Appearing before the justice select committee on Tuesday, Justice Secretary Chris Grayling questioned the claims made by the National Association of Probation Officers (Napo). He said: "The trade union has, on occasion, put forward information and have not given full context or accuracy of the situation. "However it is really important to be clear that the number of serious further offences since the reforms began in June is lower than it was." As part of the changes, offender management was split between different agencies six months ago. By early next year, private firms and voluntary groups will be responsible for the supervision of 200,000 low and medium risk offenders. These organisations are called "Community Rehabilitation Companies" - or CRCs - and the contracts are worth about £450m a year over seven years. But Napo argues that move as well as staff shortages are putting public safety at risk. It is also concerned because staff working for the CRCs do not have full access to offenders' records and are therefore unable to accurately assess the risk they pose. This is because of the data protection laws and protocols around private companies being allowed to look at the databases of the National Probation Service (NPS). In an 18-page letter to Justice Secretary Chris Grayling, the union highlights a recent case of one offender "with a history of domestic violence" who went on to murder his partner before taking his own life. It claims the trainee allocated to undertake home visits to the man was "too overworked" to visit every four months as required. Another probation officer was "unable to spend sufficient time working with an offender", the letter alleges, because of an "excessive caseload". "Left without suitable supervision, the offender committed a murder while under supervision of the CRC," it added. The union highlighted a case in which a probation officer was sexually assaulted on a visit, and said that "defects in the ICT system" prevented her seeing a "risk flag that the offender should not be seen alone by female officers". In his letter, Napo general secretary Ian Lawrence said the union did not believe the MoJ had enough evidence "to show that it is safe to proceed" with the transfer of shares in the CRCs to the winning bidders. When talking specifically about Mr Grayling he said: "Here's a minister that not only sits on information that's vital to the public interest, he refuses to engage directly with Napo on the basis that he says our campaign is immature. "I don't think it's immature when we are highlighting key issues of public safety, serious further offences, a risk to our staff, and a risk to communities at large." But a Ministry of Justice spokeswoman said the department had tested its changes to the system at "every stage". "We will be robustly defending the allegations made by Napo and expect new providers to be in place and delivering services by early 2015," the spokeswoman added. 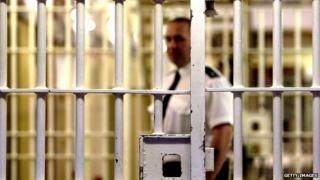 "Reoffending rates have been too high for too long, and we must act now to turn the tide on this unacceptable problem. "It would be inappropriate to comment further while legal proceedings are ongoing."